Wow… WORM SHELLS, WHELKS and even a WENTLETRAP! Our weekend away was wonderful collecting CLAMS, CONCHS and CORAL on the coast of Clearwater Beach. I’m still giddy with all these shells. Lots of these shells were found on our boating day with Captain Paul Hajash I told you about on my last post “i Love Shelling- Clearwater Beach” but we also found lots of shells on the beach in front of our hotel – Hilton Clearwater Beach. Right beside the hotel is Pier 60 which seems to collect little pockets of shells … and you know we love our mini shells… oh yaya baby… lots minis! We weren’t even in full shelling gear… we were just walking the beach back from the festivities at Pier 60 (ooooh- and ice cream) and started seeing so many sweet shells. These were only a few treasures Clark found in just a few minutes… another BABYS EAR, more SHIVA SHELLS and another LONG SPINED STAR SHELL. Yes! Wouldn’t you love to see what that shell line looked like with all these mini shells? Aha! I thought that would be the case so I snapped a photo of this little area of lots of broken bits of shells… but there are some goodies in there too. Actually, there are oodles of goodies. I didn’t even see the SHIVA SHELL when I took the photo, but now looking back at it… theres one in this CYBER SHELLING next photo. Can you find it? It doesn’t have the swirly side showing but if you look back at my last post and look at my hand full of them, you will see what the other side looks like and you’ll be able to spot this one. Click on the next image to enlarge it for some fun CYBERSHELLING… and then I’ll show you a monster of a shell just a few feet away from this. After we picked up a few more minis, we saw Dave and Susie from Michigan holding this huuuuge live LIGHTNING WHELK. Shellzam! Such a gorgeous creature. Their son Jason found it right in front of the hotel but as Dave and Susie were returning this live animal back to the water, Jason ran up to the room. I missed Jason but Im thrilled I got to see his amazing MOLLUSK before it went back to the sea… to hopefully breed more beautiful LIGHTNING WHELKS. We met Jett and his mom Ashley (Indiana) coming off the beach with a bucket of shells too. Jett’s favorite was a perfect FIGHTING CONCH. We also did a little exploring of the other things Clearwater Beach has to offer… like seeing Winter the Dolphin. She’s the DOLPHIN who lost her tail then was rescued and rehabilitated at the Clearwater Marine Aquarium. It’s an amazing true story of Winter and a prosthetic tail that was made for her so she could survive. She then went on to star in movies about her life Dolphin Tale and Dolphin Tale 2 . Clark and I learned about Winter after watching the first movie so it was so much fun to be able to see her in person. Here she is with her BFF, Hope, as we watched them from the underwater viewing window. We felt like little kids when we got to hold Winter’s prosthetic tail and sleeve. We love that Clearwater Marine Aquarium isn’t actually an “aquarium” though… it’s really a rehabilitation center. They don’t have dolphin shows or any other animal shows- its more of an educational center for the public with their mission being Rescue, Rehab and Release. The 3 Rs. Of course Winter can’t be released back into the wild but most animals they rescue are only there until they are ready to go back to living in their natural habitat. Its an awesome place. We missed the evening festivities at the beginning of our trip because we were completely worn out from shelling all day, but we finally made it back to Pier 60 for the sunset party. With live music serenading the sun setting over the gulf- its so fun and colorful. A fabulous way to end a beautiful weekend. Years ago, Caladesi Island State Park (pronounced Cal-a-dee-see) and Clearwater Beach were separated by a channel of water so they were 2 different islands but that channel has been filled in by winds and currents over the years filling the channel with sand so now they are one island. Meaning… We could have walked 3 miles on the beach to the north tip of Caladesi from our hotel on Clearwater Beach…. and yes, we could have done that But we would have had to walk BACK the 3 miles …. carrying a boat load of shells. Also, we could have driven to Honeymoon Island north of Clearwater Beach to catch the 20 minute ferry to the marina on Caladesi and walk to the beach and shell that area. Either of those options are do-able but we chose to hire a boat captain so that we could quickly get to the areas we wanted to shell… the north tip and the sand flats. We only had a short time to shell so we wanted to see the area for ourselves and be able to tell Captain Hajash to keep going or stop at a flat if we saw anything. It was perfect! Those are some amazing wormies that you found there!!!! The ones I’ve found on Sanibel were much smaller. Thank you for the cybershelling photo too! I found an auger, several ceriths, a chestnut turban and a long-spined star shell. I think I spotted the shiva shell, but I’m not sure. I’ve never found them before. Is it the yellowish circle at the bottom right? yaroslava, yes! thats the shiva shell! I couldn’t believe it the first time I ever found one when it was turned upside down like that and when I turned it over, I found that beautiful white swirl. Good eye! Pam, Sounds like another wonderful shelling trip! The shells you found are great! Love the wormies! That wormie shell pic, I wish I could reach thru it and only get what i need to finish my projects. It’s interesting to see in what ways the Clearwater beach drift shell selection was different from the typical Sanibel line-up. which one is a shiva shell? Thanks for the cybershelling! Great way to start the day. Thank you for the information on Clearwater Beach. We are always interested in exploring new places. You certainly have the eye for finding treasures. It looks like your get away was fun! I hope you had a great time! The SWIRLS of SHIVA SHELLS…. Looks like a fun time! And how weird is this – I just went to our library this morning and picked up a copy of “Dolphin Tale” to watch tonight. Thanks for sharing your adventure to Clearwater Beach! It’s pretty amazing that you found all those enormous Wormies! And I just love the Shiva shells. Hope to find one someday, among other shells. Never enough time, right? And exciting to visit the Marine Aquarium and see Winter. Another wonderful post…you’re the best, Pam! thanks Mrs. Rambo!!! 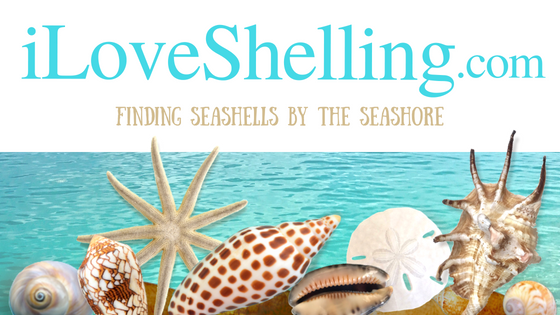 Do you find shells often on Sanibel? I’ve never found them there before, but I’m going this April for the third time, so I’ll be looking much more carefully. Sounds like a super fun trip! Thanks for you awesome photos to bring warmth to the cold north! “Shiva shell” is one name for the operculum (the trap door) of the chestnut turban. We stayed at the Hilton Clearwater this summer but our experience wasn’t quite like yours! The beach was so crowded you could barely see the sand, let alone any shells! But luckily after 2 weeks on the Atlantic and southern Gulf Coasts we already had a suitcase full of shells! I’m so jealous of all those big wormies!!! I’m thrilled for you that you got to meet Winter. I didn’t realize that she was at the rehab center there. Maybe on our next trip we can take a day and go and see her. Her story is so heartwarming. I love how you always tell us about all of the wonderful things you see and do not just the shelling. Thank you. So Kim, how’d u like the movie? So inspiring, right? … And fun! Re Dave and Susie’s whelk, I can only think of one word – Big-foot! I have never found any worm shells. I have shelled in most of the places you went near Clearwater but never saw any, at least if I did I didn’t recognize them. Would you show a picture of what they look like when you find them? You know what to look for? Hi Heather, Its hard to get the eye for them at first but once you find your first couple, then you will prob find more. Did you look at the cybershelling photo- the 6th photo down on this post? Just click on that image and it will enlarge the photo- There’s one in there! Have fun! Pam–Is there a “best time” to go shelling on Clearwater Beach around Pier 60?